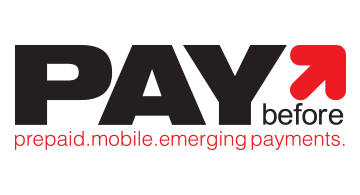 Almost every business day of the year, Paybefore reaches payments executives through Paybefore.com and our five publications: Pay News; Pay Gov; Pay Op-Ed; Pay Week and Pay Magazine; or through our online Pay Connect buyer’s guide. We’re the single source you can rely on for prepaid, mobile and emerging payments information. Our team of industry specialists covers developments around the globe—providing information you need to make smart business decisions and identify next opportunities. In 2016, we made our Website and e-newsletters available without a subscription. No matter where you sit on the emerging payments value chain, Paybefore’s original content makes you an industry insider, with features on the industry’s critical issues, news that keeps you on the cutting edge and expert commentary you can’t get anywhere else. Plus, we cover the people of prepaid, mobile and emerging payments, helping you understand what makes the industry’s leaders tick. At Paybefore, we’re not content aggregators, we’re active members of the emerging payments community. We stay close to the industry’s issues, thought leaders and doers to deliver accurate, actionable content on essential issues. And, experts contribute opinion pieces to share critical learning. Paybefore also offers customized advertising and sponsorship opportunities across our multichannel media properties. In addition to our publications, Paybefore recognizes top programs and people in the industry through our Pay Awards and Pay Awards Europe juried competitions.